Bio of Lady Carrie Trimmier-McCrorey (JADHA FOUNDATION) C & D Productions Lucille Ball was married to Desi Arnez. They were a husband and wife team who showed Americans the lighter side of domestic life. They were able to take their skills and the skills of other and make Desilu productions one of the largest family owned entertainment production company in the world. To achieve something of this magnitude it took commitment, trust in two individuals; and a collaboration of skilled individuals, focused to completing team orientated project. When Daryel and Carrie met on Feb.11, 2006, it did not take long for the values and ideas to forget. Wanting to create an environment that addressed the concerns of people in need, JADHA FOUNDATION (Juvenile & Adult Diabetes Health Awareness and Family Ministry) was formed. In the tradition of Bob Hope, JADHA foundation is a vehicle for which major concerns of communities domestic and abroad is addressed. Following the frame work a DesiLu Productions, JADHA foundation also identify talent within our community that assist others in feeling good about themselves, while teaching life lessons. The latest vision of JADHA Foundation is to re-engage the general public of the joy of organized friendly competition. During the late 70’s and early 80’s Carrie was actively involved in organized double Dutch tournaments. Through this activity, it allowed Carrie an inner city youth at the time to venture outside of her city and see a broad and exciting world. This was made possible by organized competitions that took place in venues in cities such as New York City. Many of her team mates were able to continue on with competitions that included Florida and appearances at Disney world, and London, England. Carrie has an understanding and belief that with hard work and dedication, that the training and seminars can open opportunity for many people in diverse communities. Carrie welcomes the challenge of reintroducing this commitment to another generation that the possibilities can be reached. 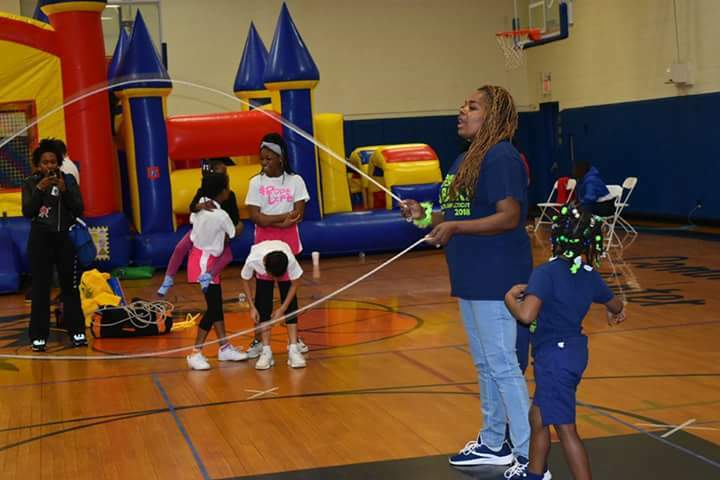 As a state representative, Carrie always will reinforce to others that haven’t seen or experienced the vision of American Double Dutch League, that their objectives can be reached. Carrie has 4 children and 3 grandchildren, attended Hartford public schools and worked in the schools as a special police officer, worked in a alternative to detention program for boys and a shelter for adolescent girls, advocate for the community, ambassador for my Greater Joy Mission Church of Deliverance partnering with the American diabetes association for the past 7 year, First Lady of the church, sing, actress and partner of C & D productions stage play “ Everything I Miss At Home” and Don’t Be A Scrooge” for the past 8 years I do a charity Fashion show for the American Diabetes Association and honor troops/veterans that has served our country. Our way of building up self esteem in adults and children that never thought they was beautiful enough, had the confidence to walk the runway. My model is Everyone is Beautiful in there own way, Very active in the community trying to make a difference.